I had to run down to Shoppers on my lunchbreak today to pick up a few things. And when I say I had to go pick up a few things, I mean that I made the excuse of needing a box of Kleenex for my desk and the fact that I promised my boyfriend I'd buy him a new brush so that I could go and check out what's happening in the beauty section. Because that, my friends, is what I do. At first, not a heck of a lot of excitement at SDM today, but then... CLEARANCE! I actually really love the shopping the Clearance section at Shoppers because I almost always find something really good at a really good price. Like a special edition package of Venus razors and extra blades for like $3, which actually did happen once. 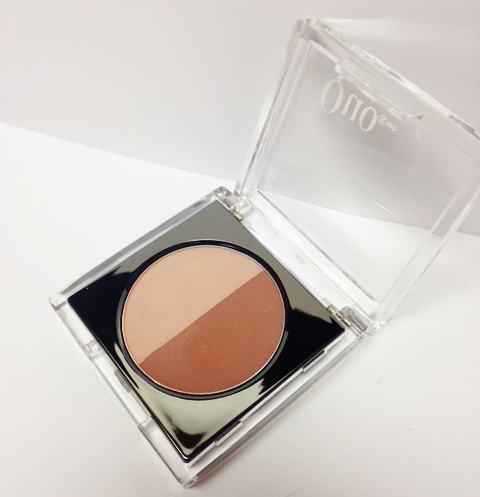 This blush is actually a really pretty, neutral blush that I think will bring a pretty warmth to the skin. It's completely matte and leans a little more pink in person than it does in pictures. Swirled together, it creates a really pretty rosy tan shade that I think will be great for summer on my paler skin and perhaps paired with a blush that leans a little more pink and glowy on the apples of my cheeks. The formula on this blush is really creamy and soft. There were two other blushes on the rack, same packaging but in single shades, but both were a little too dark and warm for my skintone. Gorgeous, I bet, on slightly deeper or more olive skintones. 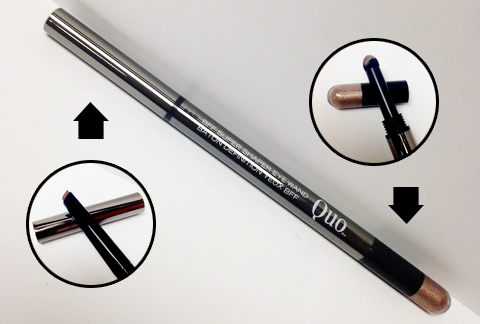 This double sided eye pencil is actually really cool and I'm kinda bummed that I'd never seen it before it went to the land of clearance (and I assume discontinuation) because I feel like it could be a handy addition to my makeup bag. One side of the pencil is a smudgey eyeshadow and the other is an angled liner. 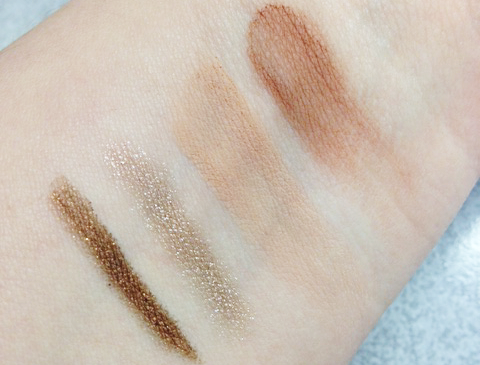 From swatched, the quality appears to be quite good on these and I feel like they'll do really nicely for a simple, quick, on-the-go eye look. I really can't wait to try these. 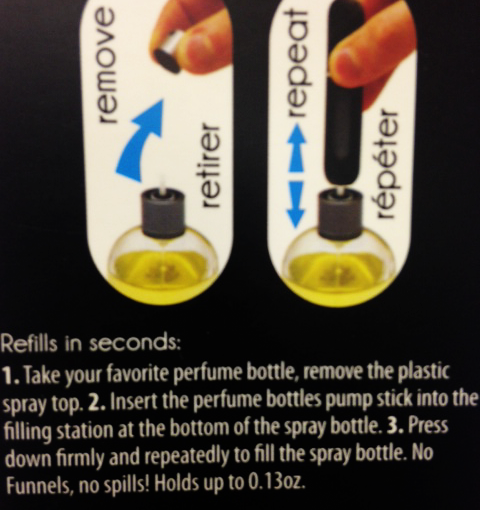 Also, speaking of on-the-go, this packaging is so gorgeous that I would love to pull it out of my purse for touchups. It just feels a little bit luxe. This was literally the only one of this product left in the bin, so I assume they got scooped up rather quickly. If you find them in your Shoppers, I definitely recommend scooping them up as well. 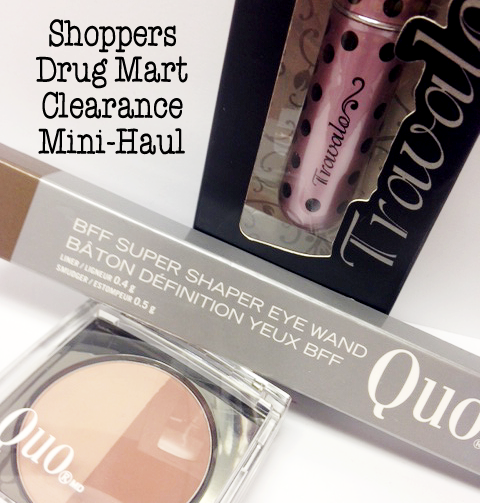 Scroll down for swatches of both Quo makeup items. I've actually wanted one of these for over a year now, but every time I pick one up I think to myself, "Do I really need to spend $12.99 on this right now?" And the answer is never yes, but I seriously consider it every time. My spending habits are incredibly random and disjointed, seriously. But when I saw this cute pink Travalo with polka dots on it for $5.99, it cemented that there was going to be purchasing things other than Kleenex on this trip. 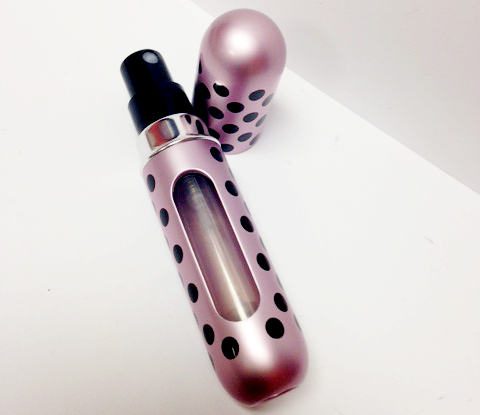 In fact, I almost bought two, since I'm such a hoard for fragrance but never feel comfortable throwing one of those expensive and delicate bottles into my overnight bag for bf's place for fear of it breaking. Perfect. Anyway, that's my little Shoppers Drug Mart mini haul... $45.99 worth of stuff for $11.99 isn't such a bad day's work, is it?